The FICTS (Fédération Internationale Cinéma Télévision Sportifs, joined with 116 Countries), recognized by the International Olympic Committee (IOC) – as the “International Federation of Sport Television” with a well-known brand in the audiovisual industry and international new media launched a promotional campaign reserved to Network with tv sports Channels and proposed the development of a specific sector action. The initiatives of the FICTS, with specific programs for sport and the sports world, records a wide participation with significant prospects for the future under the slogan “Culture through Sport” and make the business a international showcase for media, broadcasters, worldwide networks, radios, film studios, Olympic Committees and Sports Federations, advertising and communication agencies. 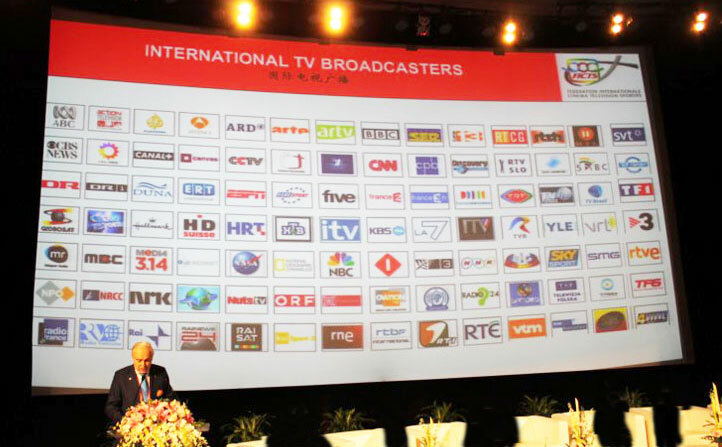 FICTS, through well-known brand in the audiovisual industry and of the International New Media, has promoted different sector action together with 1.725 Tv Sports Channels to which joined the most important Television International Associations. Milano (Italy) will host in the framework of “Sport Movies & Tv 2018 – 36 Milano International FICTS Fest” (14 – 19 November) on the occasion of the “Worldwide Day of Sport Television” – the final event of the Program “TV SPORT EMOTIONS” with the “Awarding Ceremony”. 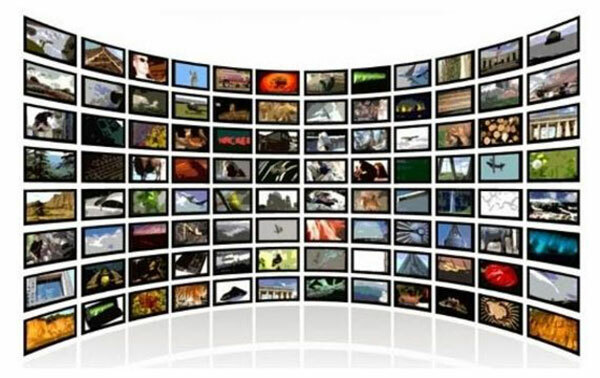 There will also be organized the International Forum on trends of the television field, Internet and mobile platforms for a comparison on the future developments in order to check the current system of business and in order to analyze future trends through dialogue between different actors in the audiovisual sport production and distribution (the Program will be sent by email on request). The acceptance to the Program is totally free. 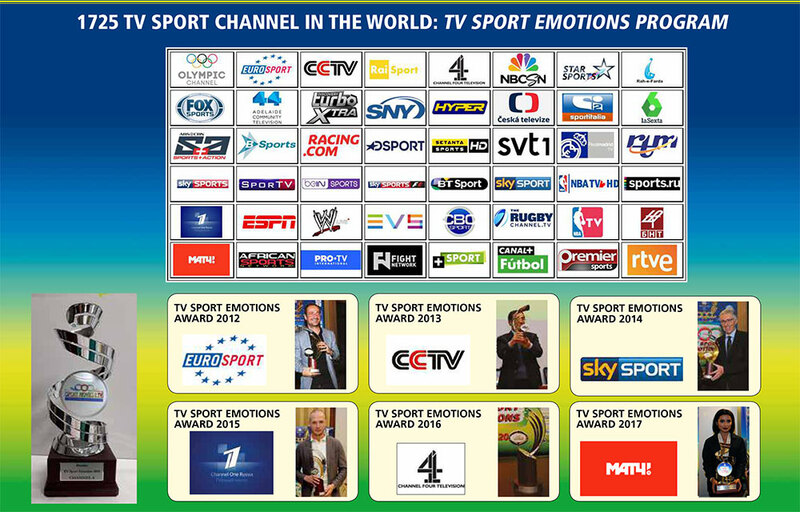 To create the opportunity for the television in order to share information and the common interest offering expert advice and training also through the free participation to the 16 FICTS Workshops of the field in the 5 Continents and to the annual “New Sport television market trends” with the delivery of the “TV SPORT EMOTIONS AWARD – The best tv sport channel of the world”. Services at the forefront of the most important sport events ( that include the collection of all the news about the events (holders copyright, date and time, location, credit’s details, etc.). Free participation for the members to the International Workshop and itinerant continental Forum “New sports television market trends” on the trends in the field of television, Internet, mobile platforms and techniques of media production, Sales & Marketing, Internet and new technologies, for comparison on future developments in order to encourage cooperation and international understanding between the television and supporting creative engagement in the implementation of new projects, improving their programs, capabilities and technologies promoted by FICTS in collaboration with the Organizing Committees of the Festival of the “World FICTS Challenge”. The President of the Federation Prof. Franco Ascani meets with the representatives of institutional bodies and, in particular, with the Ministers of Communication of the countries that host the 16 Festivals of the “World FICTS Challenge”. 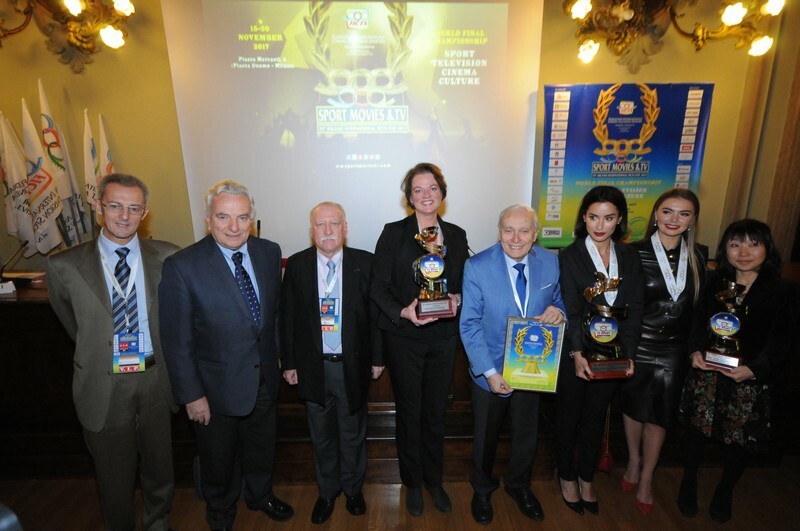 The program “TV SPORTS EMOTIONS” for Television Channels Sports from all around the world to be awarded with the “The best tv sport channel of the world award” . The purpose is to encourage the production of quality programs. FICTS will pay – for the Sport Television Channels inserted in the “Special List FICTS NOMINATION” – 50% of the cost of the overnight stay (in the FICTS 4 stars Hotels in rates for max 2 delegates indicated) for all the period of the event in Milano (15 – 20 November).